Silkwood can make-to-measure to suit your space and budget. We provide a cost-effective alternative to off-the-shelf units, with unlimited colour and design potential. Practical help, a FREE measure and quote, and 3D representations are provided to enable you to visualise the best use of your available space – all just an email or phone call away. We can also price from your drawings. We custom-design and manufacture quality cabinets for all settings, designed to suit your needs, budget and space. 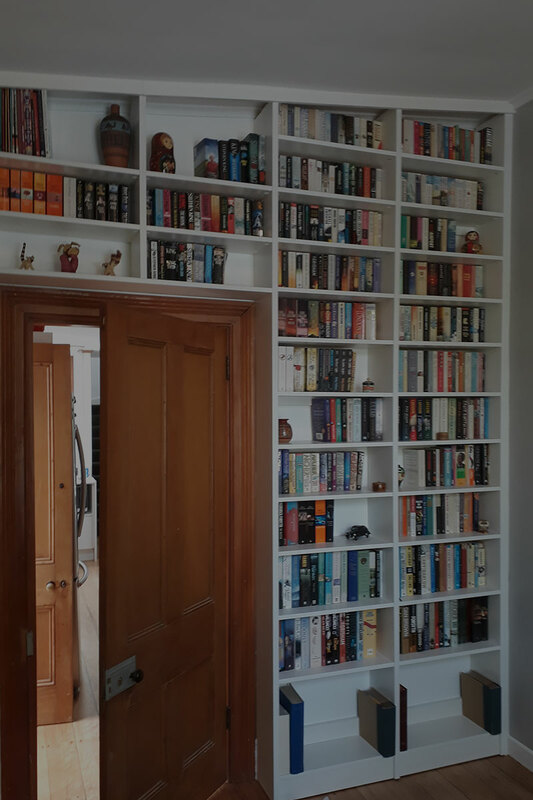 Although we specialise in bookcases and cabinets, we can create a wide range of bespoke items. Send us your ideas and we will turn them into reality. For over 30 years Silkwood Manufacturing has been crafting bespoke furniture to suit our clients’ space and budget. Our made-to-measure bookcases and cabinets are cost-effective, and designed to complement your home or office.